Transition from elementary school to middle school! 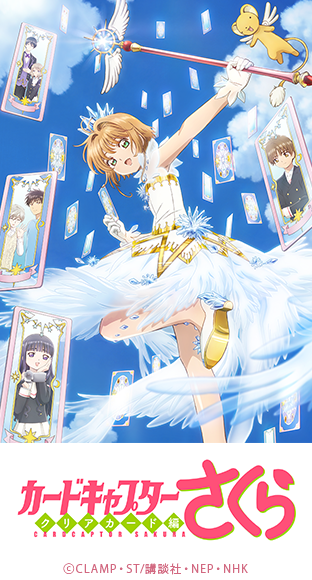 Cardcaptor Sakura: Clear Card Arc (カードキャプターさくら クリアカード編) is a shojo manga series written and illustrated by the mangaka team artists CLAMP. 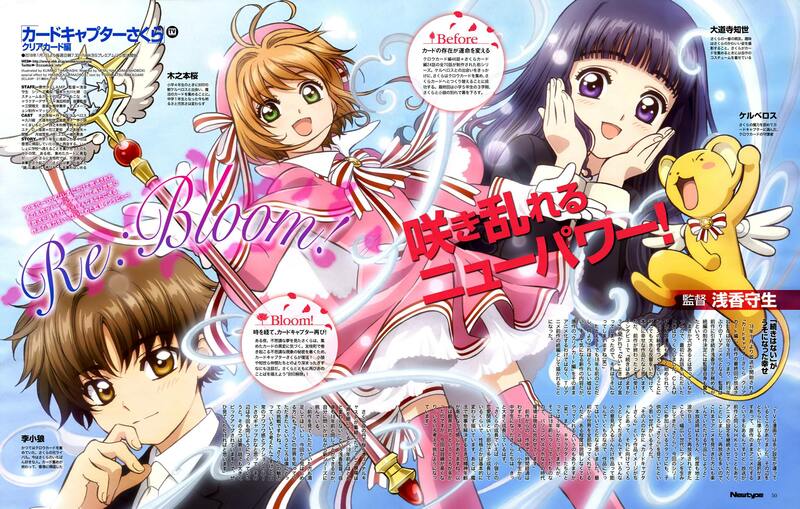 This manga is sequel to Cardcaptor Sakura and focusing on Sakura in junior high school. It takes place after Sakura graduates from Tomoeda Elementary School, in her first year of junior high school. 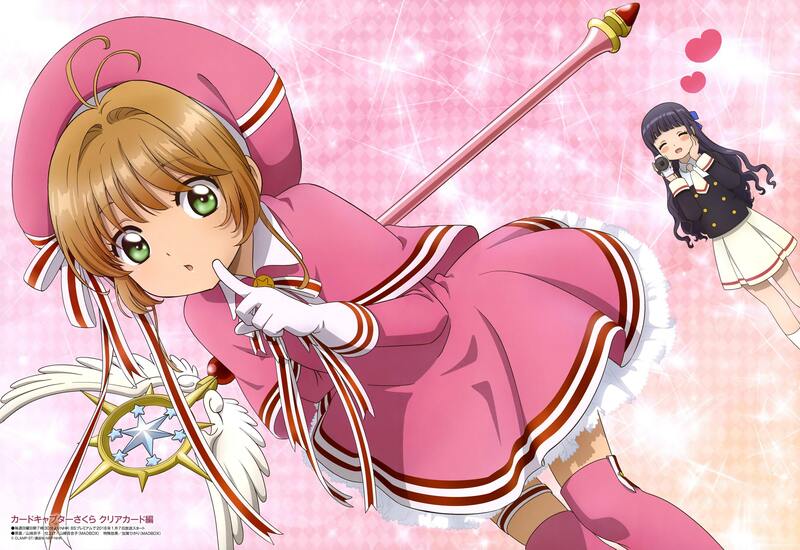 Sakura see a mysterious dream, and an incident takes place. The anime premiered on NHK BS Premium at 7:30 a.m. on Sunday, January 7, 2018. The anime will then repeat on Fridays at 11:45 p.m.
Crunchyroll will stream the series as it airs in Japan, and Funimation will stream the dub on FunimationNow. NHK reported earlier this month that the series will have 26 episodes. The first two episodes are already out on Crunchyroll and Hulu, though you have to pay to watch them right when the episodes come out. For free users, you'd have to wait 19 days after the episodes get uploaded to watch for free (legally), though there's also Youtube and kissanime for those who don't really care about watching the show legally. like mentioning Meiling and Wei in episode 2!! It's suppose to bridge the magna like when they confessed their feelings is different from the first anime and is like the magna according to fans. I think it's going to be this, probably combined with the last movie as well. the 2nd movie is canon though, Ohkawa herself wrote the script for it and in an interview Morio Asaka (director of CCS) even said it was canon as well. Though how they would tie in the 2nd movie with the Clear Card anime, idek, because those who have read the Clear Card manga know there's an important piece that would make the events of the 2nd movie impossible to tie in (namely, a particular person's house). they were talking about joining clubs and Chiharu said "the play you wrote in elementary school was great" to Naoko, and the only play she's actually written was the 2nd movie play (she didn't write Sleeping Beauty play, just directed it). They also mentioned "Meiling looked so cute in that dress at the festival." Where was the last and only time we have seen that backpack? Clamp was highly specific with their references in these animations. Either they are nodding to Syaoran's home, or adding the movie to the canon of the clear card arc. 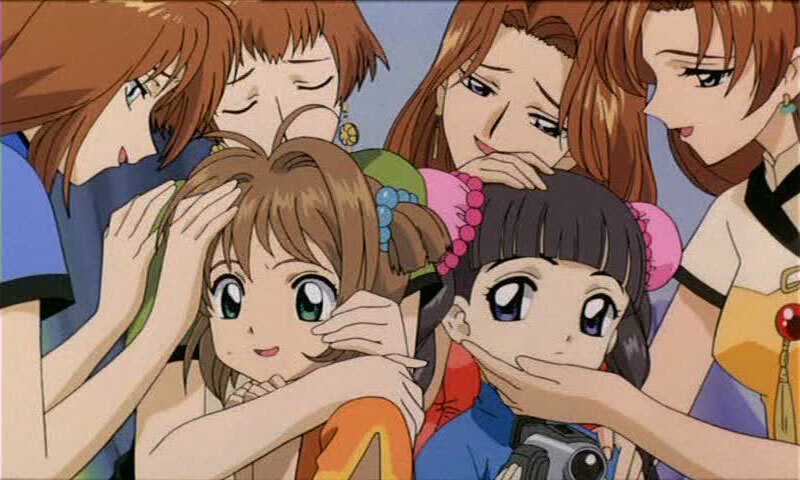 and i hear syaoran's four sisters are self insert characters for clamp's team. cool i didn't catch that school play detail, thanks! but they were talking about meiling in her hong kong festival, not the japanese festival. Everyone always forgets about Tobira wo Akete for some reason. Another similarity between Clear (name of the Clear Card opening theme song) and Platinum/Purachina is that in Platinum, she grabs a sakura petal and brings it close to her chest, and in Clear, she does the same action, but with her new key instead. And the scene where Kero is flying in the air with Sakura in the Clear Card opening is also similar to the same scene in opening 1. Sakura captured The Arrow in the 1st movie and that's one of the anime-only Clow Cards that make up the 52 cards (remember, in the manga, there were only 19 cards) so since she captured Arrow in the 1st movie, it had to have been canon as well. About the first two episodes nothing major, really minor. 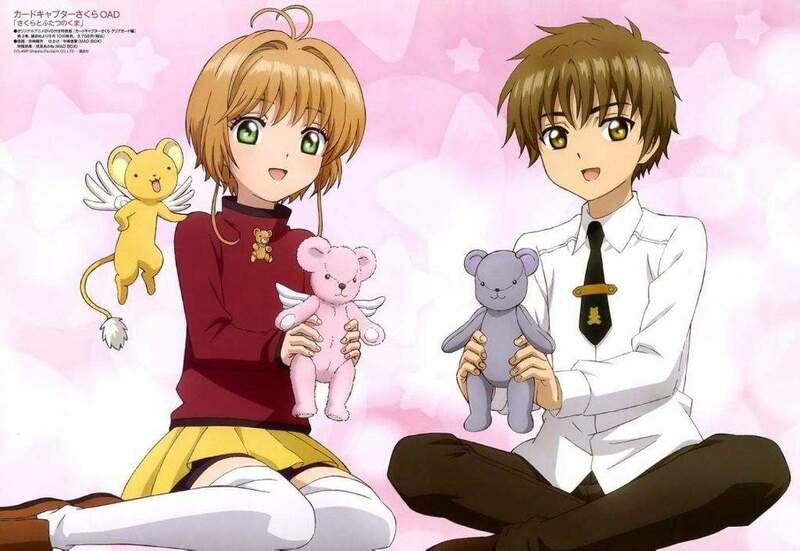 I know it's only been 2 episodes but I need more Sakura/Syaoran interaction.